I’d been reading lots of blog posts from beauty obsessives [with a far stronger sense of self control than myself] who had set themselves a spending ban for January. I was in awe – an entire month with out splurging on beauty? It didn’t seem possible! I’ve been a huge fan of Origins since I discovered their GinZing moisturiser (review here) shown in the image above. Having read about the benefits of night cream, I couldn’t wait to get my hands on their Night A Mins High Potency night cream and i’ll be writing a review very soon, after I have used it for a little while longer. Another treat from Origins is their Dr Andrew Wiel for Origins Mega Bright eye cream and their Drink Up Hydrating Lip Balm which has a light pink touch of colour. Benefit’s Porefessional had temping me with its promises of a smooth base and long lasting makeup, but I held off due to the price tag and small tube, so I was relieved to read a review of Maybelline’s Baby Skin; which apparently works exactly the same. I can’t wait to see for myself! 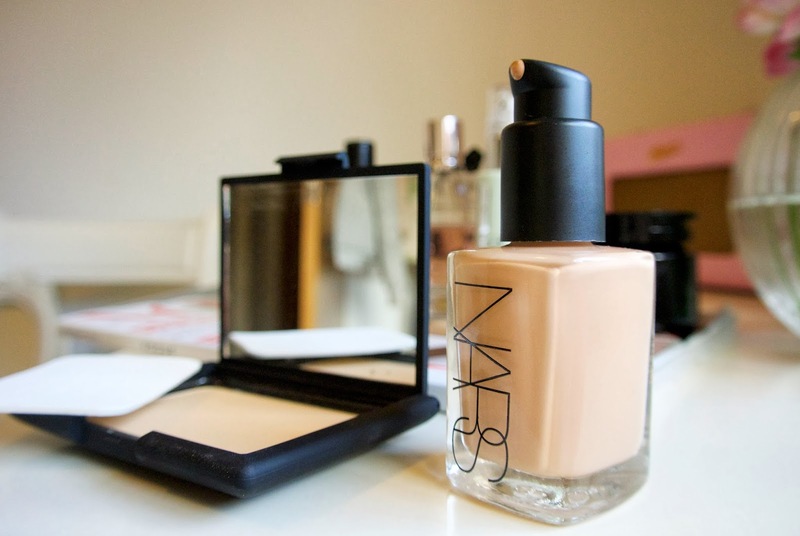 I’m yet to find my perfect foundation – my skin is a little dry when I apply makeup, but becomes oily as the day goes on which causes my foundation to just slide off. 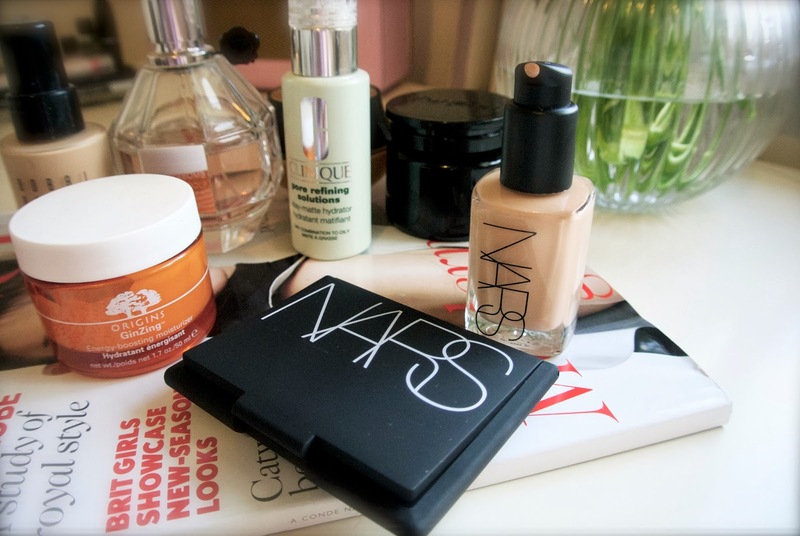 I visited the Nars counter in John Lewis before a 70s themed party for a makeover, and I had my doubts when the Make Up Artist claimed that the foundation would stay in place until the end of the night. 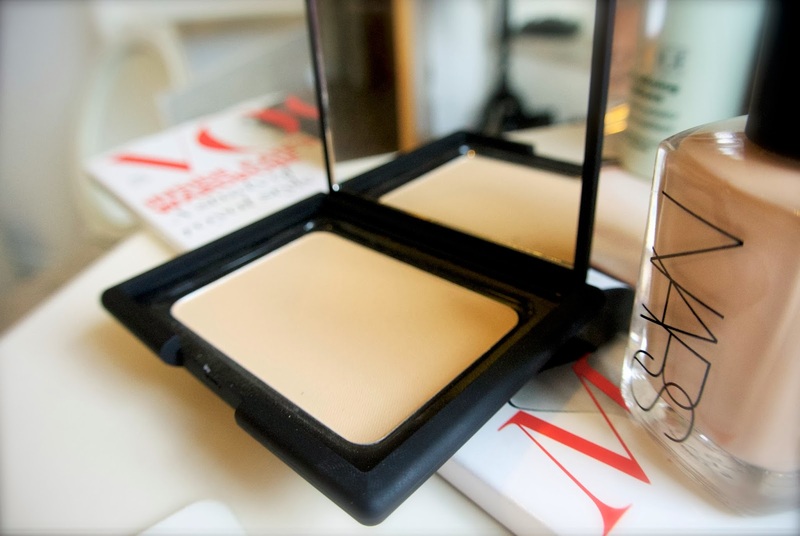 But after hours of dancing in a warm marquee, true enough my face was still in tact until the early hours of the morning thanks to the Nars sheer glow foundation and powder – so I have high hopes for this newest addition to my skincare routine! Other splurges include a Topshop lip bullet crayon in coral, Benefit’s Eye Bright pencil, some Bobbi Brown makeup brushes and a divine Soap and Glory Body Butter. Did you set yourself a spending ban for January?